Gord Stewart began curling at the age of 10 at the Strongfield Curling Club and has been curling competitively and recreationally ever since. In 1961 Gord began his teaching career in Moose Jaw and began coaching at the elementary School level where he organized learn to curl clinics and provided on ice instruction. From the later 60’s until 2006 he coached High School Boys, Girls and Mixed Teams. His Teams were always competitive. 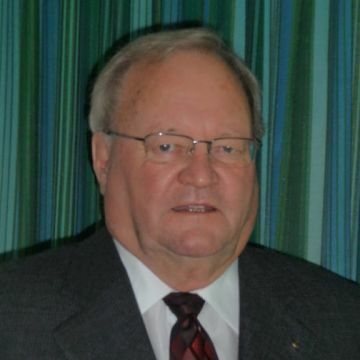 Gord began developing curling instruction courses and techniques in the 1960’s and then through the Saskatchewan Curling Association and Curl Canada becoming a Level Three Instructor. In 1993 Gord received the Moose Jaw High Schools Athletic Directorate Certification of Appreciation for 25 years of promoting High School Athletics and in 1994 he was awarded the Saskatchewan High School Athletic Association Coaching Award.